"The worst customer service! " Spent more than week trying to get a service appointment. First they said I need to email them with all information. Never got the email. They supposedly “sent” it thrice, never got it. finally I asked if I can just email it to them. Which I sent on the 4th days. Followed up each day, where they kept telling me we have to input ur information into our system. A week later finally they decided to put my information in. At this point they said they will give me an appointment 2 months later! When it was 3 weeks wait time when we intially spoke to set up a service appointment! The service was not done properly after. Ended up just having to get it done by downtown Mercedes. Worst customer service! And worst location! Sean is very abrupt, rude and inflexible. They will not do warranty work on my GLK250 stating the service in the past was not done there and questioning if the service was done properly even though an independent shop documentation was evident and the vehicle has been serviced with genuine Mercedes Benz parts.. I will take my car to another dealership for warranty work and will not use Mercedes-Benz Durham again. When I phoned Mercedes Benz Canada head office to tell them about this issue they said they should the dealership should not be questioning doing the warranty work. Before leaving my house I called and checked if they have oil for my sprinter. They said yes they do have oil filter and oil.when I reach there after one hour drive ,lady on the counter told me my boss said don’t sell sprinter oil.sooo sorry They just want me to change my sprinter oil from them Soo they can make crazy money. Very bad service ,this is second time. I arrived early at the dealership and the 1st sales staff who approached me was Sert Chan. My queries on your GLA 250 was adequately answered by Sert. Now interested to purchase, I told Sert that I will come back with my wife on Friday. Even though it was Sert's day off, he reported to work and assisted us. He was very professional and yet friendly. We got the vehicle days after. "Amazing experience and awesome service from Chris Meertins"
Once more we have had an outstanding service from Christ Meertins!!! Always an amazing experience from beginning to end. Thank you Chris for all your help & exceptional service! 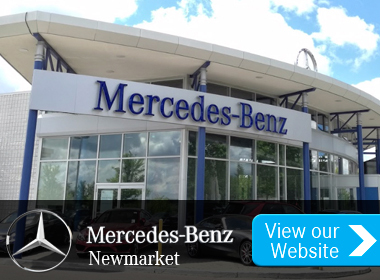 "Mercedes Whitby is best dealer. Cert Chain is best salerpers"
(1) I have met Cert Chan 2 times, once during new vehicle purchase and second time some issue (resolved by him very quickly). Both times I found Cert to be extremely professional, very helpful, not xxxxx at all. He answers questions very nicely. He really values his customers. I have absolutely no concern in recommending Cert to any potential customer. I have dealt with many new car sales person in past (because I bought many new cars). I was not impressed by any previous salesperson, except now with Cert. So, suggestion to any new Customer, please go to Cert and you will be very happy. Many thanks. Sean is very abrupt, rude and inflexible. I recommend a customer sensitivity course for him before exposing him to another customer. The Mercedes Benz dearlership overall is a good place with excellent customer service and products.